Airman Robert Bozdech stumbled across the tiny German shepherd—whom he named Ant—after being shot down on a daring mission over enemy lines. Unable to desert his charge, Robert hid Ant inside his jacket as he escaped. In the months that followed the pair would save each other’s lives countless times as they flew together with Bomber Command. 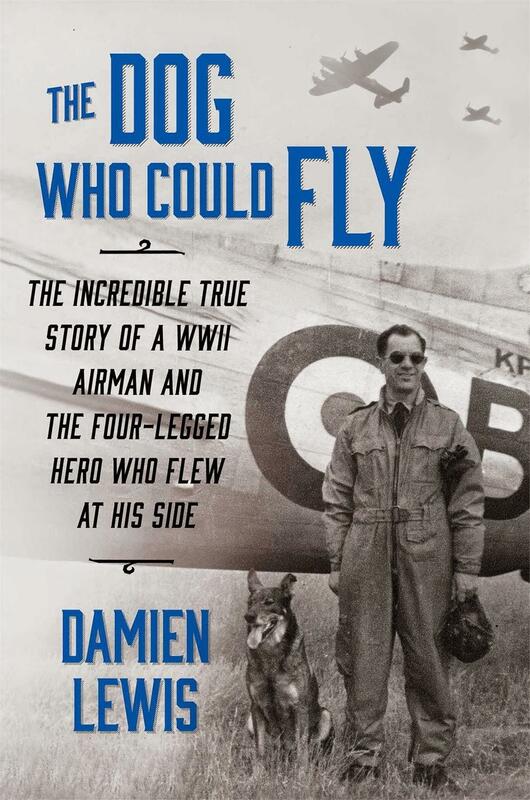 The story is told in The Dog Who Could Fly: The Incredible True Story of a WWII Airman and the Four-Legged Hero Who Flew At His Side by Damien Lewis. Breaking the Code by Hugh Whitemore is currently running on Barrington Stage Company’s Boyd-Quinson Mainstage in Pittsfield, MA through August 2nd. Starring Mark H. Dold and directed by Joe Calarco, Breaking the Code tells the true story of famed mathematician and computer science pioneer Alan Turing, who solved the German Enigma code during World War II, not knowing that, as a gay man, he’d fight a much harder personal battle at home. Little Known Holocaust Museum Keeps Doors Open In W. Mass. A little known Holocaust museum in North Adams, Massachusetts will be able to keep its doors open for the next six months thanks to a donation. Darrell English marvels at the artifacts hanging on the walls in the 750-foot square room he rents each month. Four days before Christmas 1943, a badly damaged American bomber struggled to fly over wartime Germany. At its controls was a 21-year-old pilot. Half his crew lay wounded or dead. It was their first mission. Suddenly, a sleek, dark shape pulled up on the bomber’s tail—a German fighter. Worse, the German pilot was an ace, a man able to destroy the American bomber in the squeeze of a trigger. What happened next would defy imagination and later be called the most incredible encounter between enemies in World War II. This is the true story of the two pilots whose lives collided in the skies that day—the American—2nd Lieutenant Charlie Brown, a former farm boy from West Virginia who came to captain a B-17—and the German—2nd Lieutenant Franz Stigler, a former airline pilot from Bavaria who sought to avoid fighting in World War II. The story is told in historian Adam Makos’ new book - A Higher Call - that follows both Charlie and Franz’s harrowing missions. James Goodson, a decorated World War II fighter pilot and former prisoner of war, who went on to a successful post-war business career, has died. Goodson died Thursday at Beth Israel Deaconess Hospital-Plymouth after a bout with pneumonia, according to his son, James Goodson Jr. He was 93. The New York City native and Duxbury resident started fighting the Nazis even before the U.S. entered the war, flying Hurricanes and Spitfires as a member of a Royal Air Force American volunteer Eagle Squadron. A dog tag a Massachusetts man lost as he stormed ashore at Anzio during the Allied invasion of Italy in 1944 has finally been returned, 70 years later. World War II Army veteran Alfred Cabral received the weathered scrap of copper-nickel alloy during an emotional ceremony at a Worcester nursing home last weekend. The now 88-year-old Cabral quivered and tears rose in his eyes as he received the identification tag.